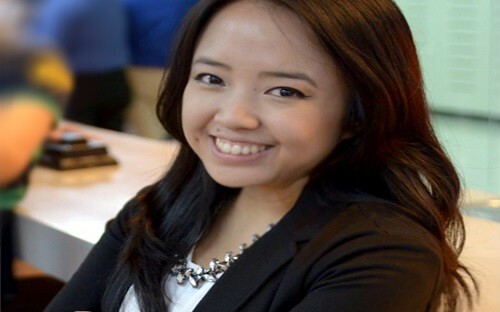 When Celine Enriquez graduated from her economics undergraduate degree in the Philippines, she started down a familiar career path working for Fortune 500 finance firms like JP Morgan and ING. Four years later however, and never feeling fully satisfied in the finance, she started looking for an opportunity to grow. That’s when she made the decision to study a one-year MBA at France’s EMLYON Business School in the hopes of switching career track. Her experiences at EMLYON have not just moved her away from banking and into the pharmaceutical industry. Now based in the south of France, she works in the communications department at Sanofi Pasteur, the vaccines division of multinational pharma firm Sanofi, and the largest company in the world devoted entirely to vaccines. Sanofi Pasteur is a major distributor of the Dengue fever vaccine in Celine’s native Philippines. And Celine helped coordinate a social media campaign to strengthen faith in the vaccine in her home country. She got the job at Sanofi through an EMLYON Executive MBA contact – EMLYON boasts a network of 29,000 alumni spread out across the world. Why did you decide to pursue an MBA at EMLYON? For me, the choice was easy. After working in banking for several years, I wanted out, and when I kick started my MBA search, I filtered my search to the country. I was initially looking at Anglophone countries, but realized why not take advantage of this experience to learn another language. Given my strong attachment to French, France was the obvious choice. Several factors came in to play when deciding on a school. The price-to-quality ratio, the size of the cohort (larger size means more competition in job searching), the diversity of the cohort, the location, and the practicality of the onboarding were all important. EMLYON, with its small but diverse class, became an easy choice regarding those factors and was the only school I applied to. How has the MBA helped you change career track into pharma? I came into the MBA not knowing exactly where I was going. During my time in banking, I had developed business strategies, soft skills, a strong work ethic and list of mentors. I knew what I could do, but didn’t know what I could do with it. I knew that I needed to take advantage of this opportunity to start anew. I credit my current break to working with an Executive MBA while at EMLYON. He referred me to his wife working for Sanofi Pasteur after working with him and delivering a presentation in class. The best thing I think you could get out of an MBA program is the rich network you will interact with, especially if they know what you’re capable of. What does your role at Sanofi Pasteur involve? I’m involved in project management, setting KPIs and metrics, and tackling social media. Our brand has fallen victim to social media rumor mongering in the past, and I was tasked to use social media in a more positive way by crunching the data, establishing trends and benchmarks. It made sense for me to work with Dengue fever given the fact that we launched first in my country, the Philippines, where the first severe form of dengue fever was first reported in 1953. The vaccine launch was hampered by politically motivated detractors on social media that spread like wildfire causing damage in brand reputation. Knowledge of how Filipinos behave online and the political nature of the product required a Filipino’s perspective. We are, after all, the number one social media users in the world. I brought insights to the global team from on what’s happening in my country through existing networks I have back home and through knowledge of the political forces that underlie decision-making on a country-level. On top of that, I had financial analyst experience. I dealt with data. All I needed to do was to make sense and translate data into insights that the global team can use to drive business decisions in the 16 countries we were registered in. It was like my banking job, but instead of banking systems, you get to go on Facebook! The future is still not clear, but getting clearer by the day. I know I want to work in social media and in something digital. We live in an era where the internet has done things that enable us to do more, to know more, and to be more. I want to explore the data, the social science and the business out of that and work in a company that recognizes this important technology. If I don’t find it, I may just create my own. Do you have any advice for prospective MBA students? One thing I learned is it’s not all about the rankings. Look at the competition, the prospects, and other details, which may be deal breakers for you. Also, network! Coming from an Asian background, we are generally more timid and shy and networking feels so unnatural and to some extent, forced. But everybody does it, especially in business school. That’s the one thing that got most of the people jobs in our cohort.